Are you a frequent swimmer? Do you visit exactly the same Outdoor Pools in Massachusetts? Please check that all the details for your aquatic center are right and make contact with us if you find any mistake. Please have a look to the Swimming Pools swimmers like you have reported. Is your pool not listed? Contact us to ADD IT. It is absolutely free! We presently have the following Outdoor Pools in Massachusetts, but we are usually grateful for any corrections or contributions. Get in touch through our get in touch with form. The greatest pools to swim are certainly indoor olympic pools. Not all countries are the same, and swimming regulations and rules are changing from one country to an additional. Swimia.com needs your feedback to ensure all the information is valid, since maybe this pool is no longer open to the public. Without a shadow of a doubt, swimming in Boston will be the finest option to unwind right after work. Take a couple of minutes to browse Swimia's catalog to find a Swimming Pool in Boston. It's difficult to visit Massachusetts without dropping by Lowell (with 106.519 residents). 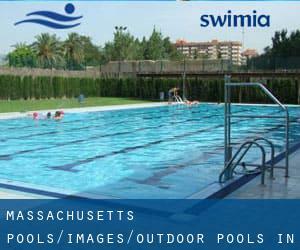 Currently Swimia is showing you all the Swimming Pool in Lowell and the closest pools situated in its vicinity. Let us let you know a secret to switch off although you are in Springfield: just choose a Swimming Pool in Springfield and plunge into the water! There's no more beneficial system. 524 Boston Post Rd. , Wayland , MA , USA (Postal Code: 01778). Swimmers like you reported 25 yards x 35 feet, 4 lanes, Indoor/Outdoor. Unfortunately we do not have the email address of this Swimming Pool, but we can provide you with the phone number. 915 Walden St. , Concord , MA , USA (Postal Code: 01742). Swimmers like you reported .5 mile x ¼ mile (approximately), Outdoors. Unfortunately we do not have the e-mail address of this Swimming Pool, but we can give you the phone number. 45 Crane Ave. , East Longmeadow , MA , USA (Postal Code: 01028). Swimmers like you reported 25 yards, Indoor/Outdoor. Unfortunately we do not have the email address of this Pool, but we can give you the phone number. 45 Vanderbilt Ave. , Norwood , MA , USA (Postal Code: 02062). Among all the activities supplied by the center, if you are interested in swimming you will appreciate 25 yards, 5 lanes, Indoor/Outdoor. Just in case you need to contact this Pool just before dropping by, we only know the phone number. 100 Dan Fox Rd. , Pittsfield , MA , USA (Postal Code: 01202). Swimmers like you reported 20 yards x 30 feet, 5 lanes, Indoor/Outdoor. Unfortunately we do not have the email address of this Pool, but we can give you the phone number. Building 1550 , Hanscom Air Force Base , Bedford , MA , USA (Postal Code: 01731). Among all the activities offered by the center, if you're considering swimming you may appreciate Olympic size, 6 lanes, Indoor/Outdoor. Just in case you need to contact this Swimming Pool prior to dropping by, we only know the phone number. 203 Oak St. , Natick , MA , USA (Postal Code: 01760). This sports center provides 25 yards x 42 feet, 6 lanes, Salt Water, Non-Chlorine Sanitized, Indoor/Outdoor. For this Pool, only phone number is number here. 258 Old Connecticut Path , Wayland , MA , USA (Postal Code: 01778). Swimmers like you reported 25 yards, 10 lanes, Indoor/Outdoor. Phone number and e-mail address are number for this Swimming Pool. 7 Reservoir Rd. , Beverly , MA , USA (Postal Code: 01915). Swimmers like you reported 65 feet, Salt Water, Non-Chlorine Sanitized, Indoor/Outdoor. Unfortunately we do not have the email address of this Swimming Pool, but we can provide you with the phone number. 39 Dalton St. , Boston , MA , USA (Postal Code: 02199). Among all of the activities supplied by the center, when you are interested in swimming you will enjoy 18 meters x 20 feet, 4 lanes, Indoor/Outdoor. Just in case you want to get in touch with this Swimming Pool before dropping by, we only know the phone number. 75 Finnell Dr. , Weymouth , MA , USA (Postal Code: 02188). Few days ago a regular user of this center told us they offer 25 yards x 42 feet, 6 lanes, Indoor/Outdoor. Furthermore, they keep in good conditions 25 yards, 6 lanes, Indoor/Outdoor. Contact information for this Pool just like phone number and email address are number. 275 Forest Ridge Road , Concord , MA , USA (Postal Code: 01742). Among all of the activities offered by the center, for anybody who is considering swimming you will enjoy 25 yards x 36 feet, 6 lanes, Indoor/Outdoor. If it is advisable to contact this Swimming Pool, email address and phone number are both number. 35 Chauncy St. , Westborough , MA , USA (Postal Code: 01581). Swimmers like you reported 25 yards, 6 lanes, Indoor/Outdoor. Phone number and e-mail address are number for this Pool. 186 Summer Street , Kingston , MA , USA (Postal Code: 02364). This sports center delivers 25 yards x 25 meters, 10 x 8 lanes, Indoor/Outdoor. For this Swimming Pool, only phone number is number here. 155 Ashley Avenue , West Springfield , MA , USA (Postal Code: 01089). This sports center offers 25 yards x 32 feet, 2 lanes, 3 feet - 5 feet depth, Indoor/Outdoor. For this Swimming Pool, only phone number is number here.